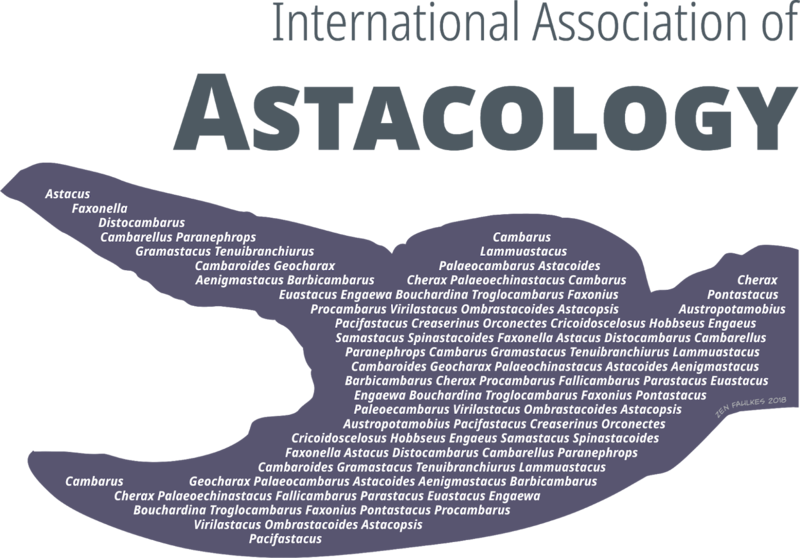 You are looking at the winner of the International Association of Astacology T-shirt contest! By me! 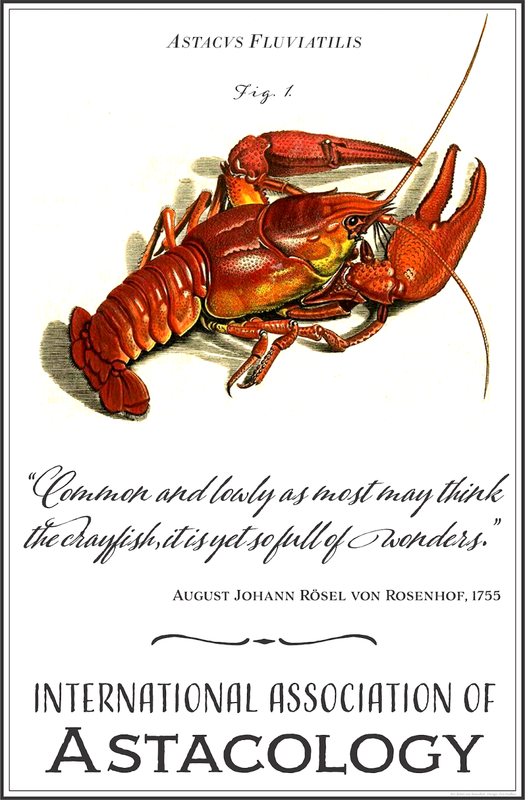 While looking up the person who wrote the quote, I discovered that Rösel von Rosenhof was an amazing illustrator of the natural world. And he painted crayfish! So I was able to combine this wonderful quote about crayfish with this brilliant plate by the same person. I cleaned up an image of one of Rösel von Rosenhof’s paintings, cleaning up page blemishes left over from the scan and making it a little brighter. I kept some of the writing on the painting but repositioned it. The quote that started me off was not on the page, so I had to add it. 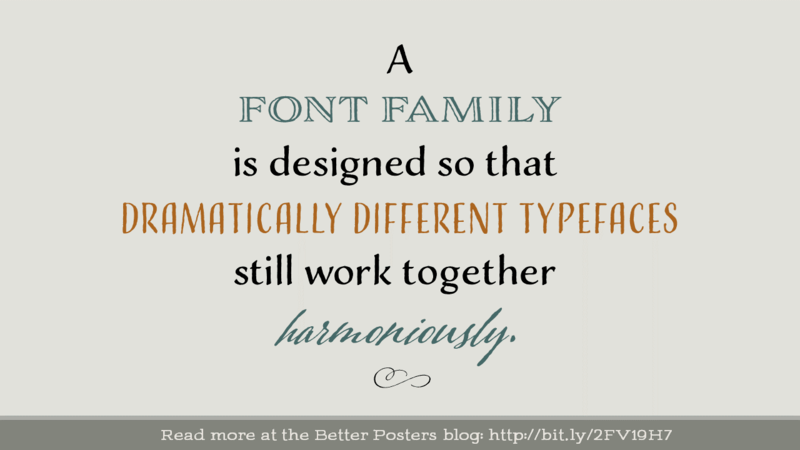 I had just the thing: the Adorn font family evoked the style the old plate well. 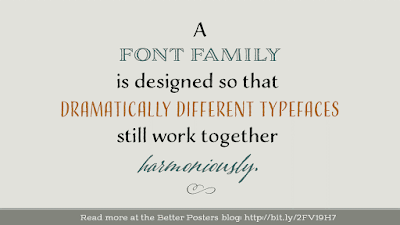 But the wonderful thing about a well made font family is that you can use a lot of different variations of text, and it still feels coherent. The outline is a signal crayfish claw, if I remember right.The words inside the claw outline are the names of every genus of freshwater crayfish (according to Crandall and de Grave 2017). Originally, I played with the idea of using the name of every species of crayfish, but with over 600 and rising, there were too many and it was too likely to go out of date soon. I like this design, but I was never able to get it to look exactly like it was in my head. I wanted the shape of the claw to be defined by the words alone. I like the big, bold shape of the claw and that it includes all the crayfish diversity within it, though. It’s bold, though I worry that it’s a little simple. Initially, I only had “International Association of Astacology.” But the words traced out the oval so clearly on the top that the bottom looked broken and incomplete. 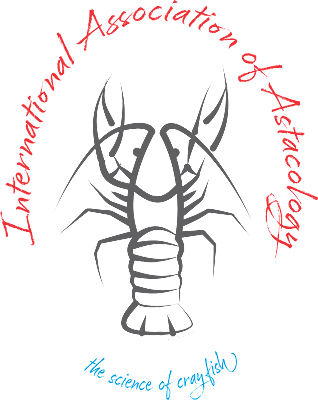 I needed something to complete the shape, so I added in “the science of crayfish.” I loved this, because I feel like one of the big problems with being a member of the International Association of Astacology is explaining what “astacology” is! I made variations of the three no-winning designs, too, changing the fonts and colours in different ways.The first version of the brushwork crayfish above had the colours flipped, with the crayfish in red, and the text above in black. But since ink was the inspiration, making the crayfish black made more sense. Even though my favourite design didn’t win, I am completely thrilled to have won the T-shirt contest. I am mentioning this award this in my annual review folder! And maybe a few more people will discover and appreciate the fine artwork of Rösel von Rosenhof. It is, according to my social media, World Emoji Day. No sure why that needs a day, but I’m not here to judge. Well, not, today I am, because I am here to judge crab emojis! I think this crab is cold. That would explain why it seems to be wearing mittens over its claws. 6 out of 10. Is this crab doing a shadow puppet play about warring sibling birds in the nest? The claws look like little bird beaks.The eyes seem way to big for its stalks. This is some sort of angsty, emo teenage crab with an art project. It might be nice when it grows out of its akward phase. 3 out of 10. Sure, this social media giant is contributing the decline and probable fall of democracies in several nations, but damn! They got someone who was paying attention in invertebrate biology and respects the crustacean to draw their emoji. The claws look like they could do serious damage. The lines on the carapace show more attention to detail than anyone else. I feel like I could almost key it out to the genus. 10 out of 10. The Google crab has seen your browser history and is shocked, shocked it says, by the websites you visit. It wants to push you away, which is why its claws are in some sort of weird backwards pose. 4 out of 10. An abyssal crab, judging from the teensy-weensy eyes. Kind of funky bulbous claws, but bonus points for its wickedly curved final pair of thoracopods. They look like kama. 7 out of 10. I think this crab was produced by a game of telephone between artists. Someone once saw a crab, drew it, then showed their drawing to someone who copied the drawing, who showed it to another person who copied the drawing, and this went on maybe about ten to twenty times. As Magritte might say, “Ce n’est pas un crabe.” (This is not a crab.) 3 out of 10. Argh! Dude! What happened to your legs? And your claws can’t open! I’m so sorry. Is there a foundation we can donate for to support research into your condition? 1 out of 10. Wimp. Wimp. Loser. Loser. Major loser. Too angry. Too vague. Too desperate. God, too happy. This is the “God, too happy” crab. Seriously freaking me out how happy this guy is. I think this crab has had chemical stimulation. -2 out of 10. Another poor unfortunate victim of some sort of leg disfigurement. Those claws cannot work, the leg tips look unsuitable for grasping any benthic substratum. And yet I can feel somethings besides pity for this crab. Something about the dots on the carapace say to me, “This is a crab that has not stopped living. This is a crab happy to get a tramp stamp and put it out there.” 6 out of 10. Ooh, it’s a little baby crab! It’s so tiny! It looks like it lives in the water column, floating and hoping no fish eats it. It will be sad when it grows up and will turn into into the EmojiOne artsy emo teen crab. 8 out of 10. What have we learned from all this? That all crabs in the Internet are red. Or orange-y red. Except for Samsung crab, whose brown colour is obviously some sort of symptom of whatever disease it has. Inspiration from ant emoji ratings. Hat tip to Alex Wild and Melanie Ehrenkranz. Come back for World Emoji Day 2019, when we’ll rate shrimp emoji! Complaints about peer review are often made by people who believe that their work is so infallible and perfect that it cannot be made better by peer review. It trickles through in complaints about how long peer review is taking (when the review time may be reasonable), It trickles through when asking what reviewers could possibly say about a manuscript. It trickles through when questioning the value of journals organizing peer review. Sure, most scientists are professionals who are trained to produce competent science. It’s not surprising that most papers pass peer review, and that the improvement is not always that large. But there shouldn’t be an expectation that everything a scientist does is going to be worth publishing as is. Everyone makes mistakes. Sure, some editors are annoying, but you know what is worse? Literally any writer’s raw copy. This is a message a lot of scientists need to hear. How long should peer review take? Exposition for bystanders: DOI is short for “digital object identifier.” I usually describe it as “a serial number for a journal article.” You often seen them tucked at the top or bottom of academic papers, a lengthy number beginning with 10. But as the name indicates, it’s mean to be usable for any kind of “digital object,” not just papers. 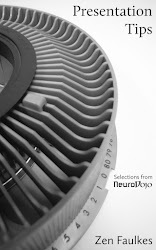 The beauty of a DOI is that if you have it, you can type in “https://doi.org/” followed by that number beginning with 10, and it will take you straight to the paper.No having to go to Google to find the journal, then drill down to the volume, then the issue, and so on. #DataCite offers DOIs for making data sets citable and getting credits for its reuse. A few example: here, here, and here. And also here, here, and here. And people have been pointing out this is wrong for the same amount of time. What is “citable” is an editorial policy set by journals individually. Most journals have long traditions of allowing you to cite things that are not part of the formal scientific literature. After all, journals existed well before links ever existed, never mind the DOI standard. But not every journal will let you cite whatever. If a journal says, “We will only allow citations to peer-reviewed journal articles,” saying, “But this has a DOI!” is not going to make any editor change her or his mind. I don’t quite understand why people think this. I suspect this myth arises because it plays into scientists’ obsession with formalism and simple “If this, then that” rules. Maybe people are confusing the DOI number itself with, “Anyone who goes to the bother of giving DOIs to things is probably an organization that is fairly large, stable, and has its act together.” But that exploitative journals regularly give their articles working DOIs shows that it can’t take that much to assign those number and get the links working. It’s another example of the information vacuum around academic publishing: publishers make up new stuff and assume academics will figure out how it works. While I’m here, Lyndon White pointed out another DOI myth: that the link “never breaks.” They can, although in practice I’ve found them to be far less susceptible to link rot than publisher links, which get rearranged every few years, it seems.